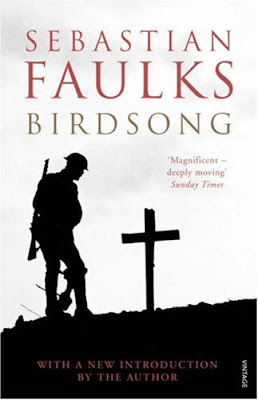 Sebastian Faulks’ powerful novel, set in France before and during First World War, received he acclaim and achieved both literary and popular international success when it was published in 1993. It was deemed extraordinary for a writer as young as Faulks to treat both the period and the subject with such understanding, depth, scholarship and sensitivity. In 1910, Stephen Wraysford arrives in Amiens as a guest of Monsieur Azaire and his family. He is there to study the French textile business, but he and his host’s wife, Isabelle, fall passionately in love and begin an extraordinarily sensual and highly charged love affair, set against the stifling social mores of the time. He returns six years later to Picardy, where as a young British officerhe faces a profound horror of trench warfare and the matchless ferocity of the battles of the marne, verdun and the Somme. The wartime narrative centres on Wraysford, his friend Michael Weir, and a former miner Jack Firebrace, employed to blast the hellish labyrinth of tunnels in which mines are laid. Threaded through the narrative is the near present-day story of waysford’s granddaughter, Elizabeth, who has discovered his coded diaries and is attempting to understand both her grandfather and the effects of the terrible and mindless war that shaped Europe. 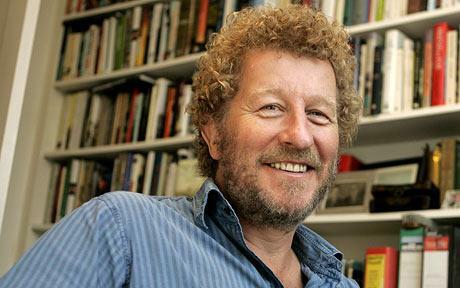 Sebastian Faulks was born in Donnington, a village near Newbury in Berkshire on April 20, 1953. He was the younger son of Peter Faulks (1917-1998) and Pamela, née Lawless (1923-2003). Peter Faulks was a partner in the local law firm Pitman and Bazett. He had interrupted his legal training in 1939 to enlist with the Duke of Wellington’s, a Yorkshire-based infantry regiment. He fought in Holland, France, North Africa, Italy, Palestine and Syria. He was awarded the Military Cross in Tunisia. He was wounded in North Africa and again when his company was in slit trenches at Anzio. He received further wounds when the Germans bombed the beachhead hospital while he was waiting to be evacuated. He made a full recovery and lived an active life, later sitting as a judge in London and Reading. Pamela Faulks was the only daughter of Philip Lawless, MC. He had served in the Artists Rifles in the First World War and captained Richmond Rugby Club. He was capped once by England in the second row. He was a sports reporter for The Morning Post and the Daily Telegraph, specialising in rugby and golf, which he played off a handicap of plus two. In 1945, he was reporting on the American advance into Germany across the Rhine at Remagem and was killed by enemy fire. Both brothers were educated at Elstree School near Reading. ‘It was a demanding and old-fashioned school, and we both had to rise to the challenge,’ said Faulks. ‘I liked it very much; it was a formidable education.’ Faulks went as top scholar to Wellington College in 1966 and in 1970 won an open exhibition to read English at Emmanuel College, Cambridge. He graduated in 1974, and was elected an Honorary Fellow in 2007. In the year between school and university he had studied in Paris and learned to speak French. After university he spent a year in Bristol, writing a novel. ‘From the age of about fourteen, I had made up my mind. 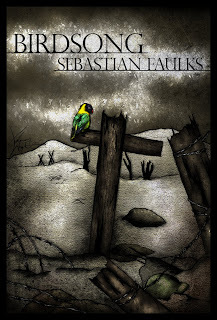 I was inspired by Dickens and D.H.Lawrence among others. I set my heart on being a novelist at that young age.’ At the end of the year, he migrated to London where he found work teaching in a private school in Camden Town. After two years, he got a job running a small book club called the New Fiction Society which had been set up by the Arts Council to stimulate sales of literary fiction. He took over from the novelist David Hughes, who became a lifelong friend. In 1979 Faulks joined the staff of the Daily Telegraph as the junior reporter on the diary column. ‘I was still writing books in the evening and at weekends,’ said Faulks, ‘but they weren’t much good.’ He had also been given work as freelance book reviewer, first at the Sunday Times, then at the Spectator and Books and Bookmen. The Girl at the Lion d’Or came out in 1989. The Bodley Head had ceased to function but James Michie introduced Faulks to a literary agent, Gillon Aitken, who placed the book with Hutchinson, who have been Faulks’s publishers ever since. ‘I was fortunate,’ said Faulks, ‘to have three friends of an older literary generation, David Hughes, James Michie and Gillon Aitken. Each provided encouragement in a different way.’ Although The Girl at the Lion d’Or was described by one paper as ‘the most raved-about new novel for years’, sales were modest and Faulks stayed with the Independent, becoming deputy editor of the Sunday paper when it launched in the same year. He left in 1991. He subsequently wrote a monthly column for the Guardian, then for two years a weekly one in the Evening Standard and had a short spell as film reviewer for the Mail On Sunday. However, following the success of Birdsong, he has been able to focus his energies on books. ‘I haven’t had a proper job for years and would now be unemployable,’ he said in a 2005 interview. In 1989, he married Veronica Youlten, formerly his assistant on the Independent books pages, later an editor at the Independent magazine. They have three children: William (born 1990), Holly (born 1992) and Arthur (born 1996). They spent a year in south west France, near Agen, in 1995-96, while Faulks was writing Charlotte Gray, but have lived in London since then. Edward Faulks read law at Oxford and has practised as a barrister in London since 1973. His practice, which is largely in the Appeal Court and the House of Lords, includes cases of professional negligence, clinical negligence, personal injury, education, police claims and claims arising from the Human Rights Act. He took silk in 1996 and was for ten years head of chambers at 1, Chancery Lane. He married Catherine Turner in 1990, and they have two sons, Leo (born 1992) and Archie (born 1994).